What do college students say about their experiences during their first year? Apparently, there is a lot on their minds, but I have distilled their reflections down to seven themes to help parents prepare for the changes. I am going to share the first four with you below. Recently, I was invited to present at a conference for academic administrators and was told that I could speak on anything that related to my work with first-year students. I realized that over the past 20 years, I have had a unique opportunity to listen to what first-year students say and read what they have experienced in their journals and reflective essays. 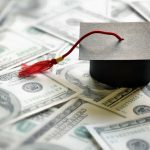 I shared this information with people whose job it is to ensure that college students transition successfully and graduate eventually, but I think it can also be helpful to parents who need to know what their college students are experiencing. #1 Procrastination. This is a theme that has not changed much over the years; if anything, students are more aware that they do it, but unable to make major changes to their time management habits. They also share that their procrastination has led to poor grades and stress. Why do they struggle with basic time management strategies? For one, they are more likely to have had their schedules managed for them by us, their well-meaning parents. They also may have been able to dash off assignments and complete projects at the last minute with very few, if any, negative consequences. What can you do to help with procrastination? You can provide guidance and support with teaching your student how to plan ahead and anticipate challenges to completing a task. At the very least, buy them a large wall calendar and a planner. 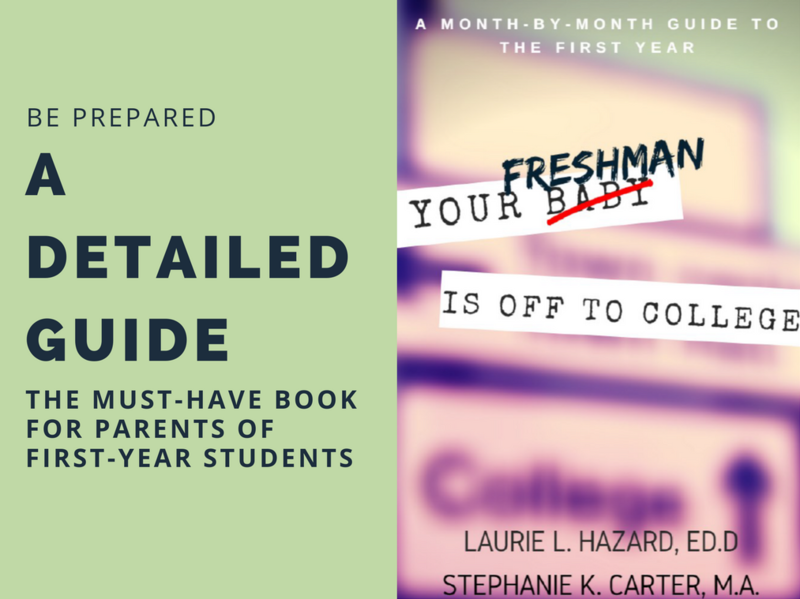 Encourage them to start writing down major deadlines and events (e.g., Move-in Day) and tasks they need to complete before heading to college. #2 Loneliness. Blame the proliferation of technology and social media, but more and more students are revealing that they feel lonely during the first few weeks of the semester. Even though they are most likely living and learning around more people than they did in high school, they are struggling with making friends easily and quickly. Why do they struggle with loneliness? 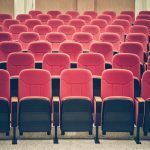 Some of the reasons come from their own admissions that they don’t know how to make small talk or even introduce themselves. They may also feel that because they can remain connected to friends and family while away at college they don’t need to make build relationships on campus. What can you do to help with loneliness? First, let them know it is normal to feel this way the first few weeks of a new experience. Second, encourage them to seek out others in classes, residence halls, and student organizations to get to know. Finding a common interest is a good way to break the ice with others. #3 Anxiety. This is another theme that has become more common among students’ reflections. As with their procrastination, they are open about dealing with anxiety, but they don’t always know what they should or could do to minimize their anxiety. Why are they anxious? They are anxious about a lot of things: having to “adult” for the first time; setting on the path of a new, exciting adventure; making important life decisions; and balancing their academics with their other obligations. What can you do to help with anxiety? Knowing that they may feel anxious about certain aspects of their transition to college will help you understand if they react in ways you were not expecting. You may encourage them to participate in activities that will help them minimize the stress that comes from anxiety or to seek help on campus. #4 Parental Influence. Yes, they talk about you in their reflections. And most of it is good. They are very much aware of your support and encouragement (Yay, us!) and rely on you to help them feel more confident. However, they also share that sometimes their parents are pushing them to take certain classes or to choose a major or career path that they are not excited about. Many times they feel stuck between what they want to do and what their parents want them to do. Why do they feel parental influence? You probably know the answer to this, but just in case: Parents are more connected with their children and young adults than ever before thanks to technology. Want to know how your student did on a test? You can get an almost-real-time response. We are able to intrude into our students’ lives 24 hours a day, and they are used to that level of connection. What can you do to use your parental influence for good? Even if you don’t feel as though you have much influence over your college student, be aware that what you say and how you react are powerful. Well-meaning, supportive parents can, unintentionally, make the transition to college a little more difficult. To maximize your influence, ask questions, rather than pontificate (! ), about what your student is interested in studying and in pursuing for a career. Also, encourage them to talk to others–faculty, advisors, career counselors, and even upperclassmen–about options and opportunities to explore and build skills. You may feel as though you have all the answers to your students’ questions, but they will gain multiple perspectives by talking with others. Of course, offer to listen to what they have learned and how they plan to proceed. A stance of “partner” and not just “parent” can help them feel empowered without being overwhelmed or overly reliant on your guidance. These are just four of the themes I have found in the writings, reflections, and conversations of first-year students. The next blog will share the rest of themes to give you insight into what students say about college and what we can do to provide support.